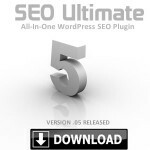 SEO Design Solutions is pleased to announce that SEO Ultimate (our All-in-One, Multi-Module SEO plugin for WordPress) has recently exceeded the 5,000 download mark. SEO Ultimate boasts unparalleled features which are consolidated under a sleek control panel that integrates over 9 unique features and functions to provide “unbridled on-page SEO power” for serious WordPress enthusiasts. 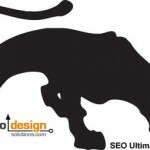 If you enjoy the flexibility of fine-tuning your pages with optimized naming conventions, scanning for broken links, managing pages with the file editor such as robots.txt and .htaccess as well as the ability to selectively toggle which SEO modules you want active (to prevent plugin conflicts), then SEO Ultimate is for you. With additional modules scheduled to release shortly, the SEO Ultimate’s current iteration still exceeds the functionality of many of the more popular SEO plugins; such as the All In One SEO Pack and SEO Slugs (which are both great plugins) that collectively have downloads into the millions. In addition to those features (Title Rewriting, Meta Editing and Slug Optimizer), SEO Ultimate features functions such as the no-index manager that allows you to add the no-index robots instruction to archives, feeds, the log in page and other less significant areas of interest for SEO. For example, you could no-follow, areas prone to creating duplicate content and add modules functionality from “the canonicalizer” to insert canonical tags to consolidate multiple pages from being indexed that are spliced versions of content that exists in another area. The canonicalizer inserts tags for your homepage and each of your posts, pages, categories, tags, date archives, and author archives. Combine that with “the Meta Editor” which allows you to edit the meta descriptions/keywords for your posts, pages and homepage, in addition to entering verification meta codes to search engine spiders. 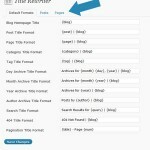 As if that is not enough, you can also fine-tune titles, tags of posts, pages, categories, archives, search results, the blog homepage and more with “the Title Rewriter”. The features mentioned above are already available and new developments are on the way. By the way, in case you get stuck, SEO Ultimate integrates with WordPress’s contextual help system (meaning that module tutorials are only one click away). 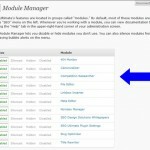 In addition the plugin provides internalization support, an uninstall routine as well as the ability to download new modules as updates occur (all from the click of a mouse). Some of our most effective content management system SEO methodologies are provided free of charge and readily available for download from WordPress. For more information on SEO Ultimate, visit our product information page and watch an informative 6 minute video by developer John Lamansky covering an array of the plugins’ features. If you haven’t already, feel free to subscribe to the SEO Design Solutions RSS feed to keep abreast of SEO tips, tactics and developments from the new SEO Ultimate WordPress SEO module. 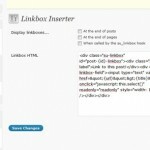 Additional WordPress SEO Themes are also available for download. 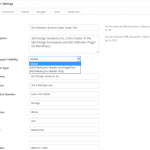 It appears to cache every connection made to the site into an SQL table for use with the 404 Monitor, however when the 404 Monitor is disabled it still caches the connections. The unnecessary processing that goes on each time a person visits the site is one thing, but the table fills up with way too much information than it needs and doesn’t seem to stop. Unless there is another reason why the plugin needs to store that information could you please make it so that the caching stops when the 404 Monitor is disabled? Thanks for letting me know. 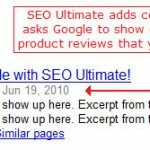 I’m aware of the issue and plan to include a fix in SEO Ultimate 1.0, which will be released later this month. This is a great feature I wasn’t aware of. I have just started getting involved in WordPress so I was glad to stumble upon your great informative blog!